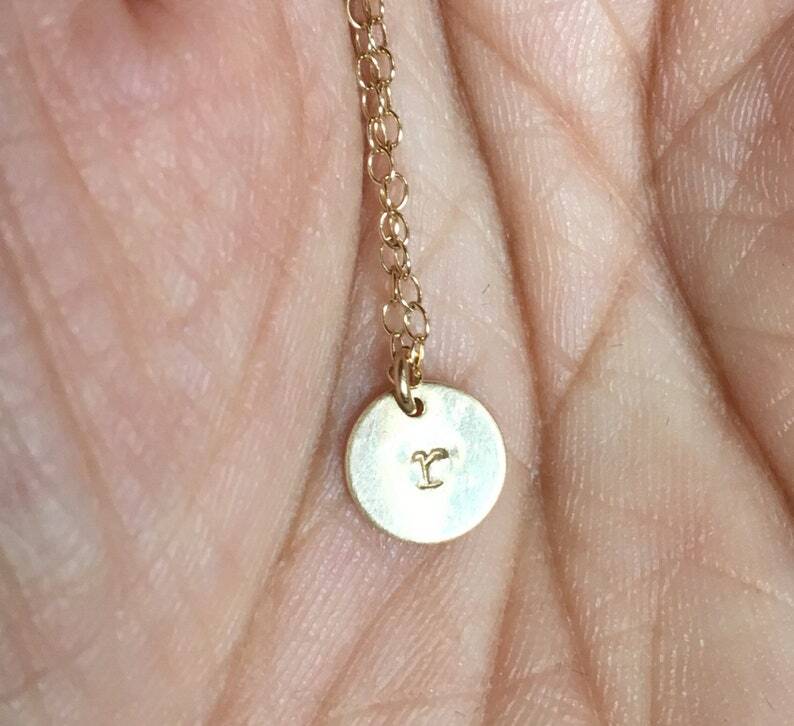 Enter the Initial for handstamped pieces. On mother's love, indicate number of eggs for nest. Thanks! 14K solid yellow Gold 1/3" coin disc will be stamped with one letter of your choice. Lowercase - typewriter font. Yellow Gold chain with round clasp closure.